Many homeowners are looking into purchasing new flooring for their home. But, which type of flooring is right for you? You may be surprised to learn how many types of flooring are available in today’s market. The following are some of the more popular flooring options available today. Since your home has unique needs when it comes to flooring, make sure to choose carefully before purchasing your new floors. In cooler climates, cork flooring can be a popular choice. This is because cork flooring insulates homes very well, keeping feet warm in the winter months. Because cork can yellow over time, it’s best to use it in rooms which may not be exposed to as much sunlight, such rooms with windows that don’t get direct sunlight. Cork is a great insulator, meaning it won’t make much noise when you are walking. Cork flooring can also be damaged by standing water. 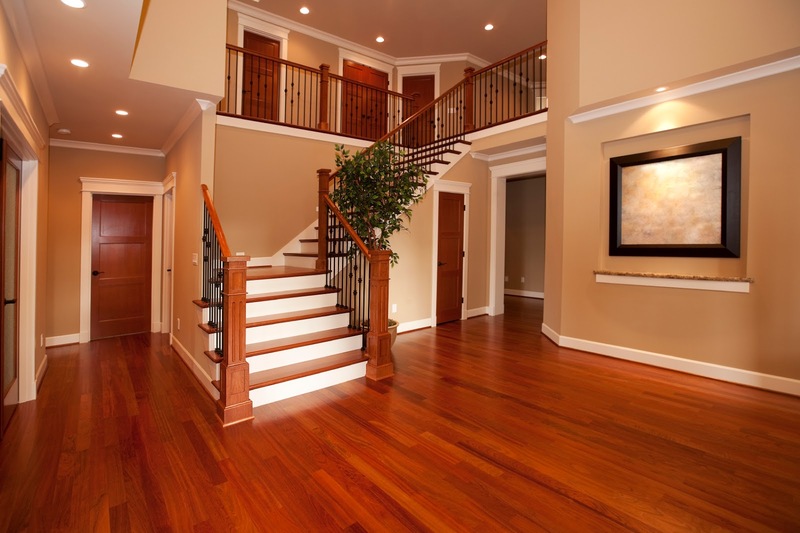 Hardwood flooring is an old standby in the flooring world. Hardwood floors retain their value well, and are easily refurbished with some new varnish and a little bit of sanding. This flooring choice is very durable, generally just needing a little vacuuming or sweeping now and then. But, hardwood floors can be costly. Additionally, hardwood can warp if exposed to standing water. Hardwood floors may also be loud when walked upon. Hardwood flooring can be stained, creating unique shades to compliment your home’s style. Many homeowners are choosing laminate flooring which mimics the look of hardwood. Laminate flooring is tough to scratch, and it’s easy to clean just as hardwood is. It is also incredibly affordable when compared to other flooring materials. But, standing water can cause major damage to laminate flooring. Laminate flooring can be made from many materials, including bamboo. Vinyl flooring is a popular choice, due in part to its ability to absorb warmth and sound. It is ideal for louder rooms, such as living rooms or dens. But, due to its inexpensive costs, vinyl may not stack up as well against other flooring types when it comes to durability. Vinyl can tear, and its gaps make cleaning a challenge. 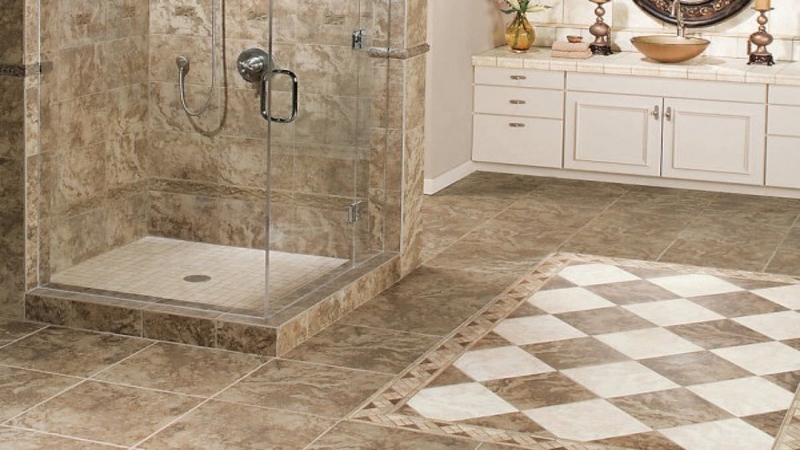 Tile flooring comes in many materials, including stone and ceramic. The pricing of this flooring can vary greatly depending on the type of tile you choose. 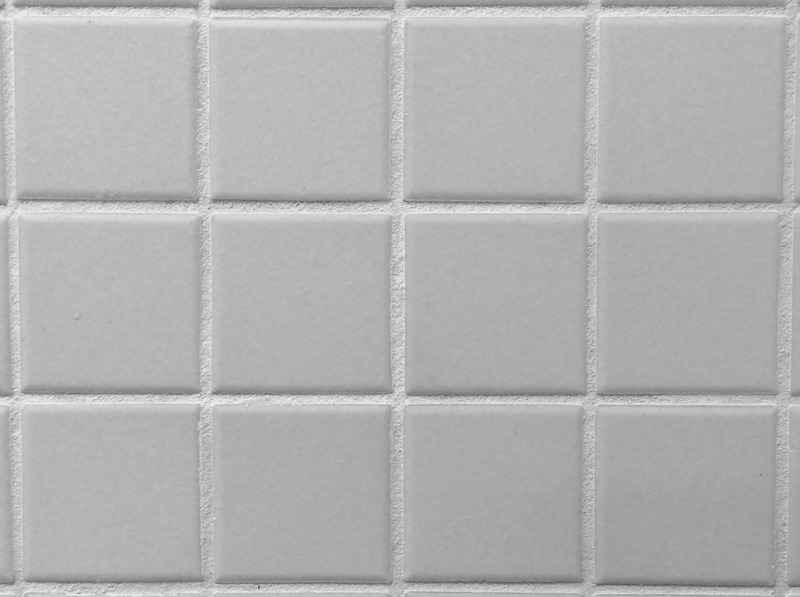 Typically, tile is not damaged by standing water or high foot traffic. But, tile does not insulate as well as other surfaces. 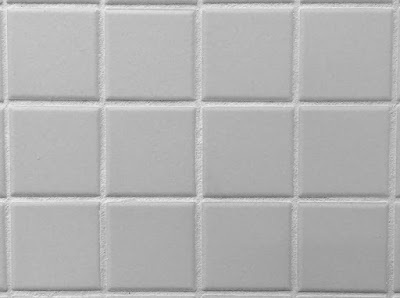 Additionally, the grout between tiles can be difficult to clean. 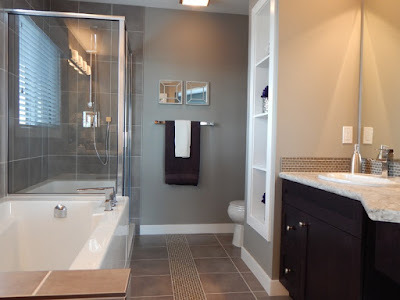 standing water, tile is popular for bathrooms. 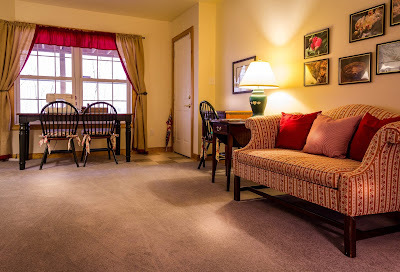 Carpet always brings a luxurious feeling to your floors. It is easy to install, and it provides wonderful heat and sound insulation. But, carpet can be difficult to maintain. The surface can stain easily. Carpet also requires routine steam cleaning to keep the surface looking clean. With a wide variety of textures, colors and styles, carpet is ideal for any room in your home. 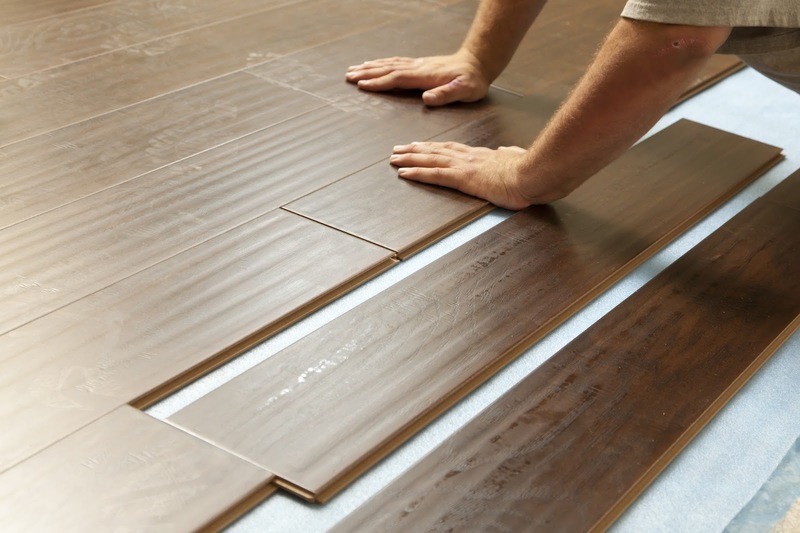 There are many different options available when it comes to choosing flooring for your home. Different rooms may call for different flooring materials. Of course, your personal flooring tastes will help determine the type of floor you choose. You should consider cost, flooring comfort, and ease of cleaning when choosing your new floors. I spend a lot of time at home and I spend an undue amount of that time cleaning it seems. I consider myself to be a particular and selective house cleaner and I don't shed my brand loyalties lightly. With that said, the Mean Green products that showed up here over the past month or so have impressed me mightily and I'll explain why in a moment. Before I get to that, let me show you the Mean Green products I'll be working with for the next few months. The product line is rounded out with Mean Green Anti-Bacterial, Mean Green Boat and Vehicle, Mean Green Car Wash (with hose-end applicator), Mean Green Concrete and Driveway Degreaser, Mean Green Heavy Duty Wipes, Mean Green House, Deck and Fence, Mean Green Multi-Purpose and Mean Green Pine Power. I tend not to use specialty cleaning products in my day to day. Ammonia and hot water is more or less my default cleaning product and I suppose that makes me not only selective, it also makes me cheap. But my initial trials of these Mean Green products have me second guessing myself. One of the reasons I reach for ammonia so often is that it not only cleans well, it doesn't leave a residue. Well, the mean Green products I've been using work better than my beloved ammonia and they don't leave behind a smear I then have to clean up after I've cleaned. The Mean Green Mildew Destroyer cleaned the grout lines in my bathrooms and kitchen and honestly, I'd completely given up hope of ever getting my kitchen grout lines clean. I didn't even have to scrub, I just sprayed Mildew Destroyer, let it sit for a few moments and then mopped everything up. Honestly that floor looks brand new. I bake all the time. I teach baking classes after all so it makes sense that I would bake at home a lot too. I keep my ovens clean but nothing I've ever found can get my oven racks clean. All that changed when I used Mean Green Super Strength on them. I took the racks out of the oven one at a time and set them in the sink. I sprayed them with Super Strength, let them sit for a bit and then rinsed them off. Unbelievable. It worked! Mean Green Auto and Garage makes short work of engine grease as well as brake dust on wheel covers. Once the weather warms up I'll have it outside and will be able to truly put it through its paces when I wash my car on the driveway. And finally, Mean Green Orange Champ cleans up my gar cook top better and faster than the plain soap and water I usually use. As a bonus, it makes my kitchen smell like a citrus stand. The whole line of Mean Green products can be found at Lowe's and Walmart; and their website has a store locator to help you find other retailers. For more than 80 years, the name Roto-Rooter has been synonymous with unclogged drains. Hands down, theirs is the most trusted name in the business and they got that way by doing great work. 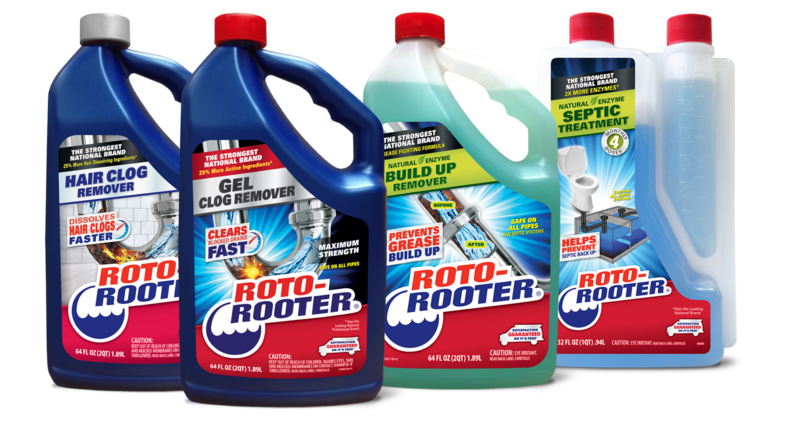 Roto-Rooter now makes a line of products that'll keep your drains and septic systems flowing and trouble-free. After all, a drain system you don't have to think about is a good drain system. The Gel Clog Remover is a product I use regularly. My partner and I live in an older home and we have an iron sewer main. Mercifully, no one uses iron waste pipes in older homes but for those of us in homes built before the arrival of PVC pipes, iron is a fact of life. Iron degrades over time and that degradation results in a waste pipe with a rough surface on the inside. This rough surface acts as a magnet for anything that passes over it that's not strictly water. 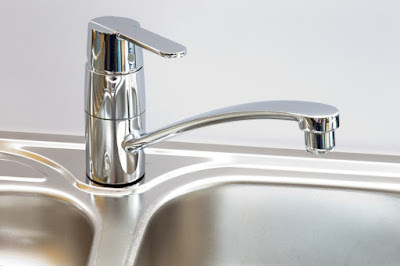 Hair, soap scum, grease and garbage disposal waste end up catching on the rough surface and before too long the amount of waste that can flow through the pipe starts getting reduced. We notice it when our second floor drains start to slow down. Ordinarily, we use another brand of drain cleaner I won't mention but last week I treated the drains with Roto-Rooter Gel Clog remover. I followed the instructions to a T and within 15 minutes everything was flowing smoothly again. Amazing. Roto-Rooter Gel Clog Remover has 25% more active ingredients than the product I had been using and equally importantly, it has the proper thickness and stickiness (a.k.a. viscosity) to attack the clog by penetrating it. Other products' formulations are too thin and they flow right through a clog or they're too thick and they rest on the surface. Roto-Rooter's increased amount of active ingredients combined with that winning viscosity mean that it works faster as well as working better. Roto-Rooter products are safe to use on all pipes and septic systems and that's another important consideration I have to bear in mind whenever I have to deal with my old iron pipes. Iron waste lines need to be exposed to as little acid as possible to keep their integrity. Roto-Rooter's formula is sufficiently alkaline to do its job and to keep from damaging my pipes. It's considered to be some kind of virtue to run vinegar down your sink drains these days but please stop doing that. Vinegar is an acid for starters, so pouring white vinegar down your drain is harming your metal pipes and fittings. But not only that, it doesn't actually do anything to keep your drains free-flowing. Vinegar is a diluted solution of water and acetic acid. By virtue of its chemistry, it can't cut grease or dissolve hair. You need to use something that actually works and I recommend Roto-Rooter Gel Clog Remover. You can buy Roto-Rooter products at Lowe's, Walmart and many other places and right now, there's even a dollar off coupon on their website. Get serious about keep your drains clear and your septic system healthy and stick with Roto-Rooter. There are many reasons why homes are renovated. Maybe you’re renovating it to boost its value. Maybe you’re thinking of renovating it to boost its practical aspect. Whichever your reason, choosing the right renovations is key. Choose the right ones and the value of your home will increase. Choose the wrong ones and you risk pouring your hard-earned cash down the drain. Kitchen renovations can really add value to your home. They are what many real estate experts recommend for high returns on investment. Make a kitchen rolling stand. A rolling stand will catch most buyer’s attention. Opt for stainless steel countertops. 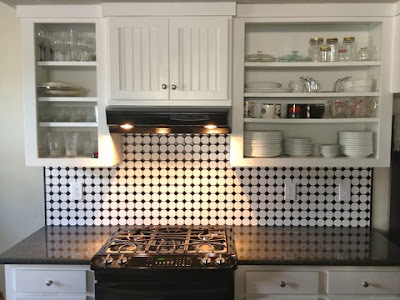 Add a splash of color with a new backsplash. Change the paint. Paint works wonders. It’s also cost-effective. Your home’s curb appeal is the first thing buyers see when they drive up the property. When the curb appeal of your home is on point, it’ll welcome potential buyers in and show them that the rest of the home is just as good. Clean and replace porch lights. You could do this for as little as $30. Update house numbers. New numbers attract the eye. Go big and bold. Repaint the front door. The front door is your home’s focal point. Repainting it sets your home apart. Give the exterior windows a thorough clean. This job is easier than you think. Primp the porch. 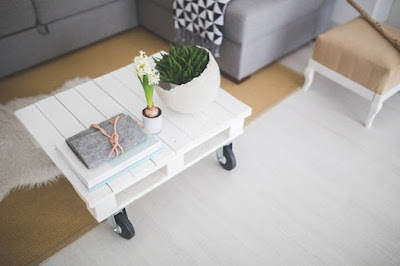 Clean it up by getting rid of household clutter and adding some greenery or a pot of flowers. Pressure-wash the siding. A home and its walks, steps and decks shine bright after you’ve sluiced away the cobwebs, dead bugs and winter grit. A clean house speaks volumes about your personality. By making a clean house your priority, you accomplish these three things. One, a clean house is healthier for you and your family. Two, you prevent dirt and junk to build up over time. And three, you are able to stay on top of maintenance issues, as you are able to spot potential problems before they become expensive ones. Clean your fridge door. Clear it off for a cleaner-looking kitchen in seconds. Hide the hamper. Rooms look less clean when piles of dirty clothes are in sight. Make your bed every morning. Not only does this make the entire house look cleaner, it also sets the tone for the rest of your day. Fluff your pillows. This is the easiest, laziest trick in the book. Fluffing all the throw pillows in your living room will breathe new life into the place. Empty all trashcans. This is a lightning-quick cheat to a cleaner-looking home. Sweep and/or vacuum. Vacuuming is like a magic Band-Aid fix. 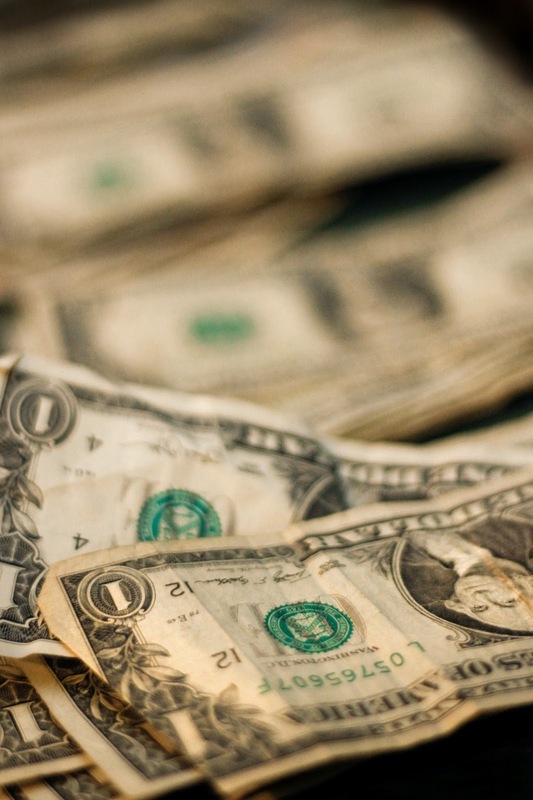 Bathrooms come in a close second when it comes to the rate of return. A bathroom renovation not only increases the comfort level of your home, it can also substantially boost its resale value. Improve ventilation. Moisture is your bathroom’s greatest enemy. Boost its lighting. Sconce lighting at the vanity is recommended. Replace your hardware. For example, update the showerheads, faucet handles and drawer pulls. When it comes to real estate, dark, cramped rooms are no good. Opening up the house to create more of a flow and enhance natural light is one thing that homeowners can do to increase the appeal of their property. Clean your windows at least once a month. Choose lighter colors as often as you can. When picking treatments, treat lightly. Clear the space around your windows. Renovating can be an enjoyable and rewarding process. Use these five tips to add some value to your home. The bedroom is an important room in your house. Before planning to give it a makeover, planning is key. With proper planning, you’ll be more comfortable and happy with your new room. If you are on a budget, here are some ideas for an amazing bedroom makeover. Gold accents work wonders when it comes to bedroom makeovers. They can give your bedroom a new life especially if it was formerly navy blue or white. To achieve this look, use accessories or paint a small piece of furniture like the nightstand. Rooms with a variety of patterns and colors have the most personality. However, avoid becoming gaudy and creating an eyesore by having everything in a room match. Adding texture to walls helps create interest in a room. Aside from adding personality, the new wall treatment will help make your room cozier. Thanks to stick-on designs, renovating with wallpaper is no longer a huge production. As per Warner Quinlan Inc, Mirrors are not just for the bathroom only. Mirrors create a sense of openness, making your bedroom space appear larger. Also, mirrors help flood in natural light. Suitably placed mirrors help bounce light to create warmth. Not only do rugs create a warm atmosphere, they also help reduce noise, keeping your bedroom quieter. Choose wisely, however, because rugs have the power to change the look and feel of your bedroom completely. Houseplants do more than just make your shelves look brighter. 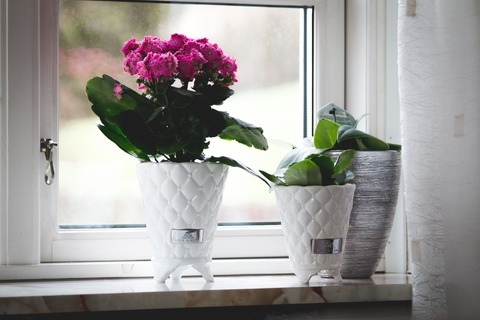 Plants naturally filter air pollutants and produce oxygen while maintain indoor humidity levels. Plants bring tranquility, increase your productivity, reduce your stress levels, enhance your creativity, and boost your mood. Pillows are not only comfortable, but they are also cute. However, according to experts, they shouldn’t take up more than 50% of the bed. You only need a lumbar pillow and two sets of appropriately sized bed pillows. Nothing elevates a bedroom faster than a bench at the end of the bed. When choosing a bed bench, you want to pick one that is slightly narrower than your bed. A bed bench adds rich depth, glamorous style, and comfortable convenience to your bedroom décor. Keep bedroom lighting subdued for a tranquil space. To achieve this, use three-way bulbs so you can adapt the wattage to your needs or moods. Use wall sconces or nightstand lamps for bedtime reading. A valance can help bring the wow factor to your bedroom. A valance helps provide color and softens the hard lines of windows. When choosing a valance you want to make sure it’s long enough. Also, choose one with the right pattern and fabric. If your bedroom is looking a little small, try adding a striped rug. Striped rugs not only give a room a modern look, they also correspond with the color scheme and give the room a longer look. Trim is functional in ways you may not realize. The simple addition of trim borders, ribbon or rickrack on shams, pillowcases or bed skirts can yield amazing results. New bedding can make such a huge difference to your bedroom. It can create a whole new look, taking your room from primary to pastel, modern to classic, graphic to girly and more. If you don’t already have one, consider a comforter or a duvet. To make the corner of your bedroom feel like a brand new space, all it takes is a cozy chair, a standing lamp and a new book. Clutter in the bedroom can contribute to fatigue, lack of focus, irritability and difficulty sleeping. Moreover, persistent clutter in your bedroom can negatively impact your health. There you have it: 14 budget friendly ideas for an amazing bedroom makeover. Use these tips to make your bedroom a sanctuary. If you are considering doing any type of digging or building work in your own yard then you’ll need to start by considering where the utility lines are that serve your property. In fact, you might even discover there are utility lines for other properties running under your ground! The last thing you want to do is dig straight into one, it can cause a serious injury. In addition you might find yourself facing a substantial bill to repair the problem. You can contact utility location services which will provide you with a free quote to assess your yard. They will then use specialized equipment to scan the ground below your yard and determine what utility lines are present. Most importantly, once they have located the lines they will be able to provide you with a detailed grid map showing you exactly where they are and how deep they are. This is the most expensive solution but the best. You will know everything about the utility services running under your ground and what you should do. This usually involves digging somewhere else or staying above their level. It is very rare that you will want to actually dig up the utility lines. Of course, if you do choose this route then you’ll need to proceed with maximum care. You shouldn’t use any sharp objects when digging near utilities. Water, electricity and you do not mix well together! You can also take a look at the deeds for your house. They should mention if there are any utilities or easements on your property. If there are any it is unlikely that the deeds will give you the exact location and it is also possible that things have changed since the deeds were created. This is a good guidance point but does not remove the need to use a locator service. It is possible to call the utility company to get them to come out and mark where the utility lines are. However, there are a few issues with this approach. You’ll need to contact all the different utility companies; the electric board won’t know where the water lines are. You may also find there is a significant delay before they can come out, this will hold up your building project. Additionally, they might not tell you how deep these utilities are, which will not help you to decide whether to continue with your project or not. A locator service is the best option as they will deal with all utility lines in one go, provide you with depth, and even get to you very quickly. In addition, they will provide you with guarantees and a host of other information on your land, including boundaries and any other issues you light not know about.